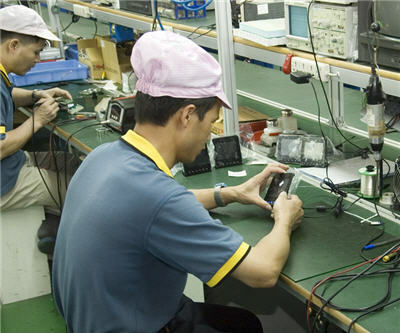 China released Thursday its official measure of factory output for February showing the country had a slight decline. The purchasing managers' index (PMI) number was 50.1 for the month, down from 50.4 in January. The country has been trying to recover from a downturn in its economy. Last year, China posted an annual growth of 7.8% — the worst since 1999. Its failure to move above 51 shows economic expansion is only moderate. A reading below 50 indicates a contraction of manufacturing. The government's report lists a number of subscategories — like new orders, new export orders, finished goods inventories, imports, raw material inventories, employment, and supplier delivery times — which all showed a similar decline. Only the backlog of work had not changed since the previous month. Some analysts said the Chinese new year holiday had affected the numbers.